1. Contact Form 7. Instead of just leaving my email address at the About page, I use the contact form. I begin to have more people finding me compared to just leaving email address there. 2. Simple Pull Quote. This plugin helps me to improve my typography especially when I need to insert quote from somewhere. 3. Yet Another Related Post Plugin. I manage to reduce my high bounce rate by 10-20% after installing this. I used to have 90% bounce rate before I have YARPP installed. “I build enhance my blog according to Technology Bloggers” – I am (and I am sure the rest of the community are) extremely flattered! 2) Simple Pull Quote looks potentially useful, thanks for that! 3) I used to use Yet Another Related Post Plugin on my philosophy blog and then changed to Select IGIT Related Post With Thumb, for some reason I don’t think users need to see related posts here… and I think it messed with the blogs code a bit too! 4) Looks very useful, I will be trying that out! I’ll give a try at the alternative for contact form and YARPP. I think I come across TechnologyBloggers from a forum that put this site as one of the technology site that I should refer. It includes as well WindowsTalk and Techpatio but I am not really sure where I stumbled it. Regarding you discovering us, do you think it could have been from a comment I left? Ooh these look good, thanks for the tips! You are most welcome Marc, I only realised afterwards that it is probably the longest article I have every written, as it took around 3 hours to write the 1000+ words and add the pics! Thanks for sharing with us. I use some of the in my own blog e.g. CommentLuv and GASP, but i have never even heard about User Role Editor as i don’t allow anyone to interfere the process. Now thats a complete list of plug-ins you’ll need to build a blog. Thanks for arranging and explaining them so well Christopher! “I really like the ‘What Would Seth Godin Do’ plugin!” – me too, which is why we are now using it here! GASP is a must have for every blog – it goes without saying. 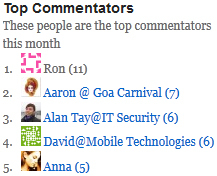 And Top Commentators Widget is great too. It’s sort of another ‘thank you’ for commenting on your posts. Thanks for your comment, welcome to the Technology Bloggers community! I recommend to use Akismet, Google XML sitemaps, wp-db-backup plugins and treat them as the most essential plugins to power WordPress websites.. They are indeed good plugins Raj! Thanks for the nice post. I really liked what User Role Editor does, I’m going to give it a try. GASP seems good as per your words. Currently, I only use Akismet which filters around 20+ spam comments daily. Perhaps, it was a nice list, but I wished to see WP Total Cache, YARPP, Google XML sitemaps and All in one SEO as a part of the list too. GASP with Akismet can make a very powerful spam fighting machine! The plugins above all work really well Tanya! Thanks for adding your comment, welcome to the community! This is a great list of WP plugins! 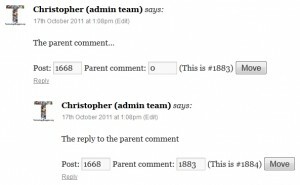 It was my first time to know about some of the plugins here like Reply me and Move WordPress Comments. 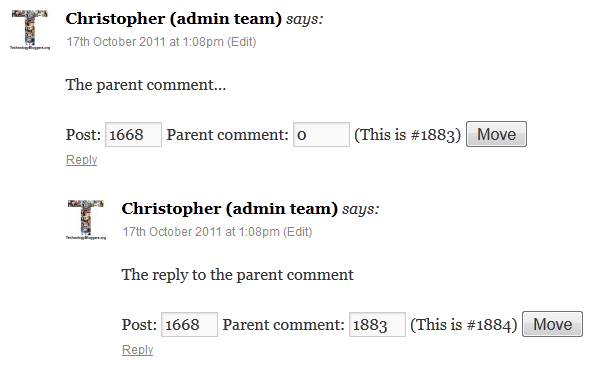 Between the two, what I like most is the move wordpress comments. 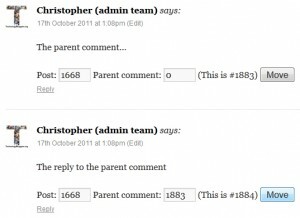 With the use of this plugin, it’s pretty easy to edit the placement of the comments. It can save much effort. I love the wordpress plugins because they give me so much comfort in optimizing my blog and handling it easily, I have almost all plugins but I was missing Reply Me Im shocked that and ask myself why im not using it yet. Any way I got it now and I like the way you explain plugins importance and how they can make blogging easy and attractive, in fact you love when you have everything on your dinner table don’t you. It’s all about taking a dinner with all ingredients. I use both comluv and gasp (now comluv premium has gasp built in) and I have to say, these twp plugins are some of the best plugins I have ever used. 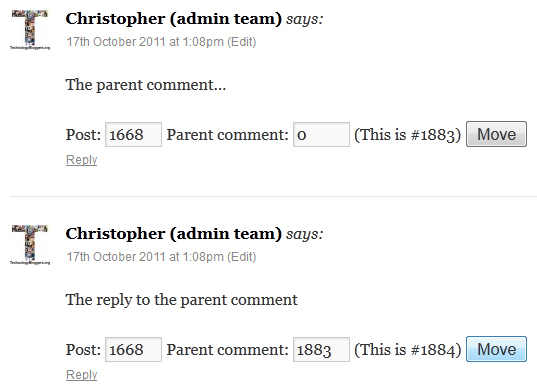 I didn’t know about the “Move WordPress Comments” plugin. I actually came across this problem a few times and had no idea what to do. This plugin could be a good help. Thanks for the link. I’m always on the lookout for useful plugins, and this list certainly fits the bill. I already use CommentLuv and GASP but I’m going to have a look at the others you mentioned, with the exception of User Role Editor. I don’t have a multi-user blog so I don’t need it. I also use All In One SEO Pack, and StatPress for traffic stats. Thanks for the plugin ideas Mark. We don’t use and SEO plugins here, I just don’t seem to trust them. I tried some out on my philosophy blog a while ago, but I didn’t really see that they were doing anything for the blog. Be logical with your choice of words and post good content regularly, and the rest seems to fall into place! Never heard of ‘Easing Slider’ Tom, but after a bit of research, it looks pretty cool! You definitely picked the plugins you found valuable. I’ve used everyone of these plugins except Move WordPress Comments. I think I’ll need to check it out because I’ve had a few occasions like the one you described. On User Role Editor, it is definitely a must for any blog that allow user subscriptions. I’ve been using on one of my article sites for over a year now. I recently started using it on the WebIncomeJournal.com when I decided on allowing guest bloggers to have accounts on the blog. It’s useful in restricting what any other user can do on the dashboard. Some of the plugins are well known Chadrack, I know what you mean, however they are still good all the same, and new bloggers may ot have heard of the likes of ReplyMe and KeywordLub. These are great plugins. Never heard about some of the plugins listed here. Nice! I’ll check them out. Researching wordpress plugins is hard work and you get conflicting reviews about them. For instance I use Yoast for SEO, but is it better than All-in-one SEO? I don’t know. I also use commentluv, but I’m fairly new to it, so yet to see the benefits. However, I do use a couple of paid for plugins: ReviewAZON and phpBay, both of which are easy to use and do exactly what they say on the tin. Nope, I’m not an affiliate for either!